This past weekend in Denver, the annual SIA Convention (SnowSports Industries America) was in town! My niece, Meg Haywood-Sullivan is an award-winning snowboard photographer and was in attendance of the festivities. 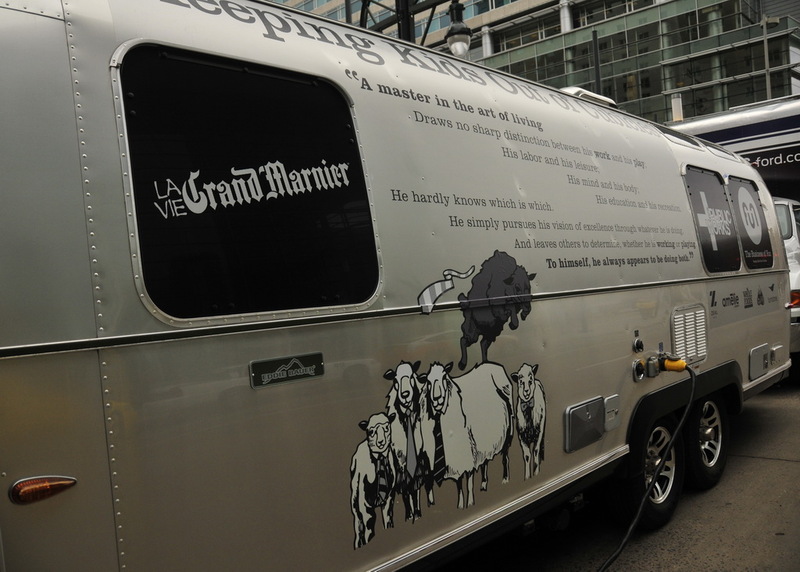 We visited with Meg downtown Denver on Saturday night and lo and behold, what do my eyes see but, an Airstream! Didn’t have my camera handy so drove down the next morning to get a couple of shots of this decked out ‘Stream. 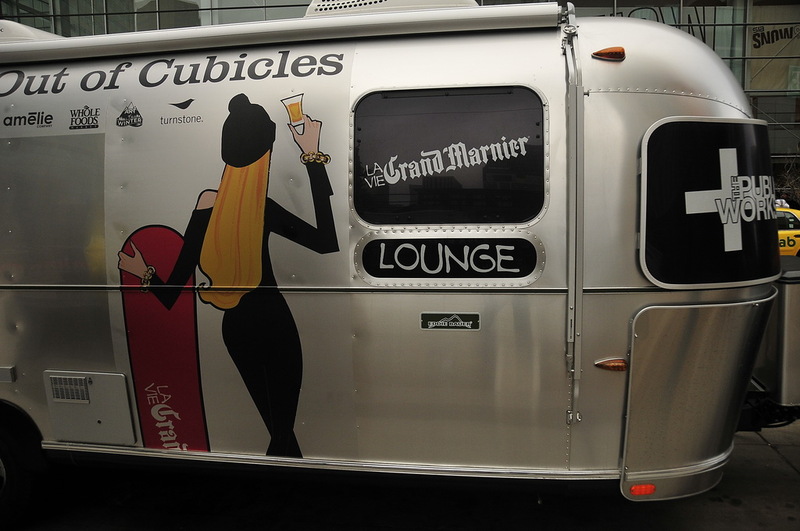 Come to find out it’s the Airstream for “The Business of Fun, Keeping Kids Out of Cubicles“. After reading a bit about this organization, it’s worth a read for sure. 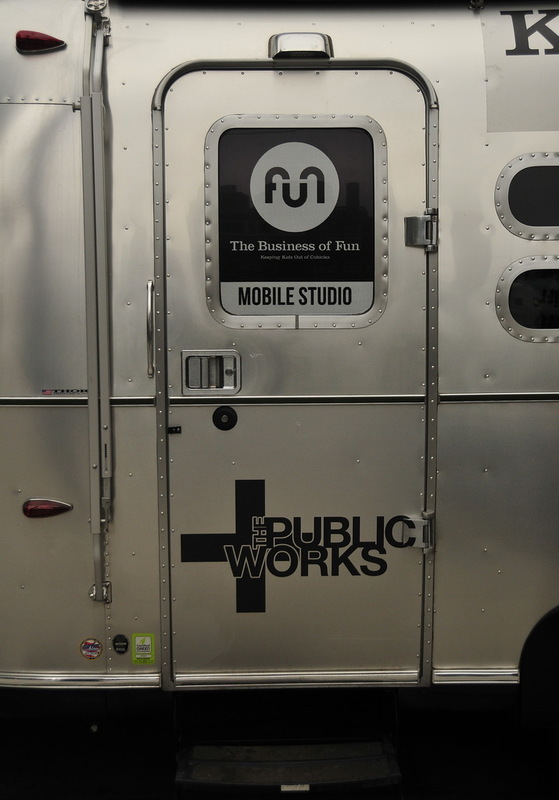 “The Business of Fun is dedicated to helping people turn their passions into their jobs through events and our online community. Happy people with good jobs make a better world…” Love their motto!! Susan, I was not able to go inside. I just jumped out of my car on a very busy downtown Denver location and snapped a couple of shots. Thank you so much for the kind words. 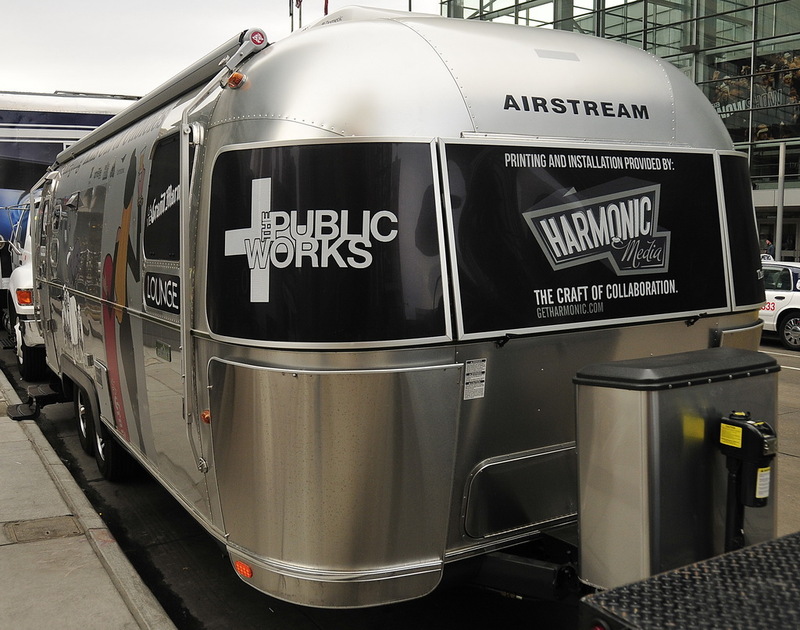 We could not have been more excited that Airstream was willing to help support our Business of Fun mission. We recently visited the Airstream HQ and hope to have a short video up on the Business of Fun site that we shot with Don who has been the tour guide for over 20 years. 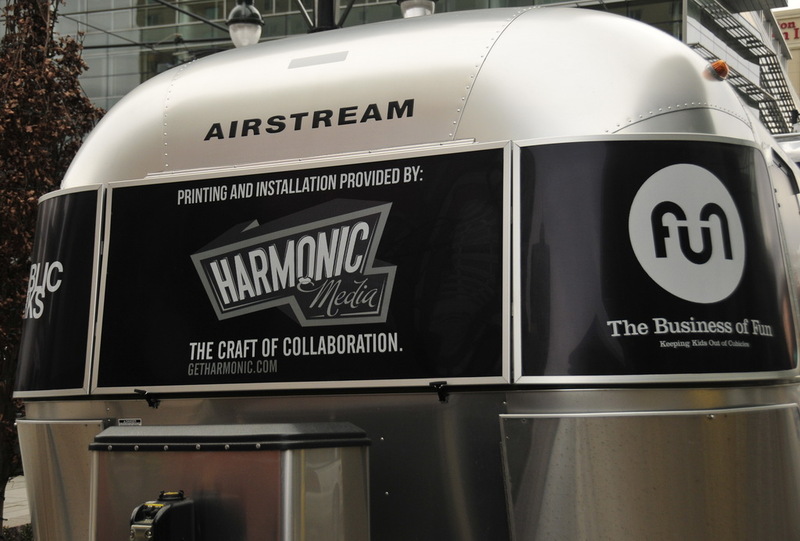 Airstream is such a perfect example of the stories we are trying to tell through BoF. Our company is The Public Works and we are in Denver. So stop on by sometime. And Mike, when you have the video ready, please let me know and I’ll add it to this post!! Great post. Thanks for the coverage. I also got a chance to briefly meet Meg at the POW booth. Small world. We’ll be putting a couple of interior shots up on http://www.thebusinessoffun.com or http://www.facebook.com/thebusinessoffun soon.